Marc takes pictures and stuff. Mostly of people. 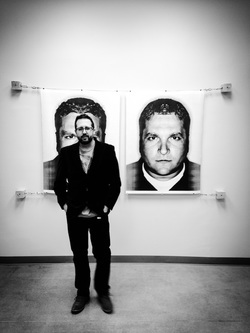 ​Leverette initially began his photography career while a student in south Florida. By 1998, at the age of nineteen, he had won Photographer of the Year from the Professional Photographers of Southwest Florida. That same year, as well as the following, he was awarded both Commercial Photographer of the Year and Illustrative Photographer of the Year from the same organization. In 2000 Marc pursued graduate studies in the northeast, earning an MA from New York University and a doctorate from Rutgers University. After a period in academia, where he published several books on popular culture, Marc settled down in Fort Collins and returned to his love of image-making full-time. Lehne Leverette, Manager, has twenty-five years of office experience and has been with Marc Leverette Photography since 2000. From consulting and booking your session to choosing print sizes to suggestions for display, she will be there to help you with any questions you have about our services.